So today, I go to a class to learn about the state board of Arizona to learn the rules and regulations for AZ nail techinicains. This will complete my reciprocity requirements so I can work legally work her in Arizona! I am looking forward to this because it is different from state to state. Knowing that I am going to the state board, I thought I should have nice nails. So here they are taken with the practice nail I did before actually doing them on myself. I think I should call them “Smoke and Mirrors” The mirror part from the Swarovski crystals of course. Any other suggestions? 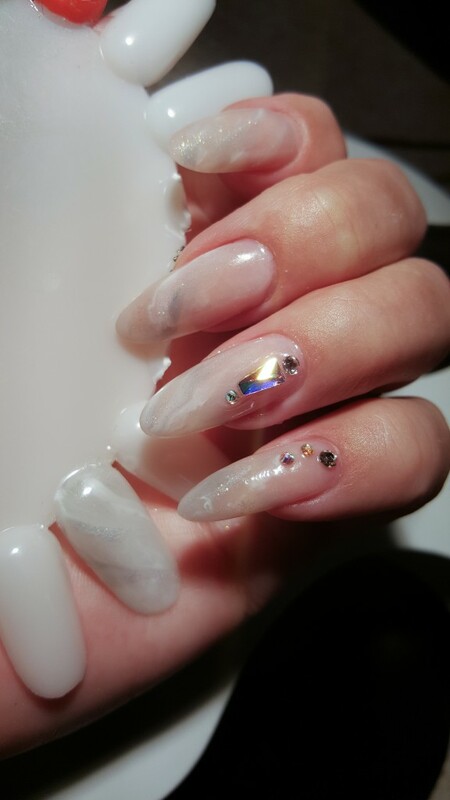 I was just saying to my hubby that I love pure white nails as a base for classy nail art except that they look like they need re doing almost right away. That is the reasoning behing using Gel Color on top of uncured top coat to create a smoke or marble look!. I don’t have to fill them as soon as I would normally had to!!! I’m sure I will tell you all about my class at AZ State Board after today! 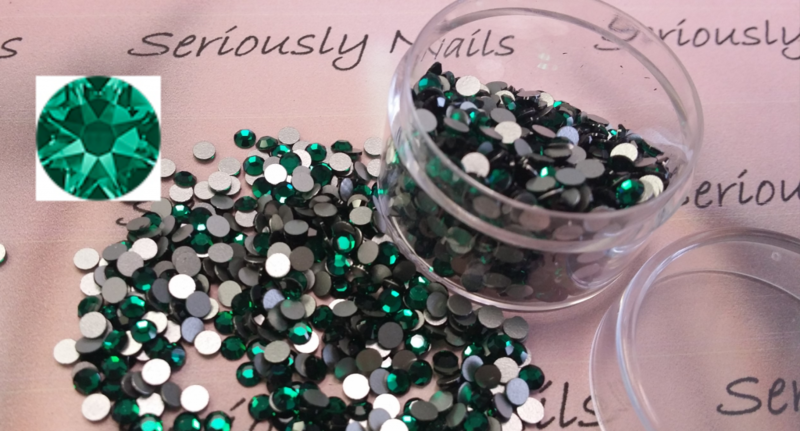 Need a refreshing new item to use with your nail art? How about Pearls from Swarovski??? Classic, subtly colored flat back pearls in size 10SS are only 7 cents each when you buy them in pre-packs of 120. 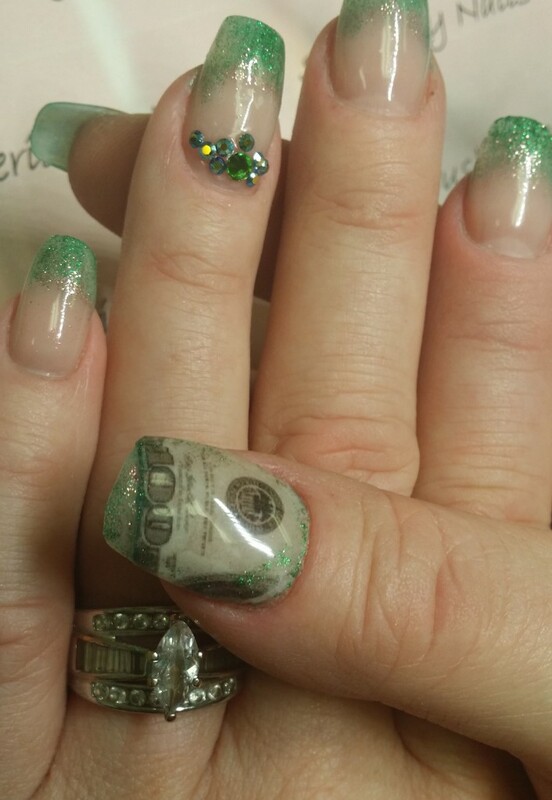 I got to do some wedding nails for a friend from Canada who got married yesterday in Las Vegas! I had fun doing these for her. She is so sweet and I think they matched her personality perfectly! Congratulations to Amanda and Jason! Crystal Pixie info from Nails Magazine! 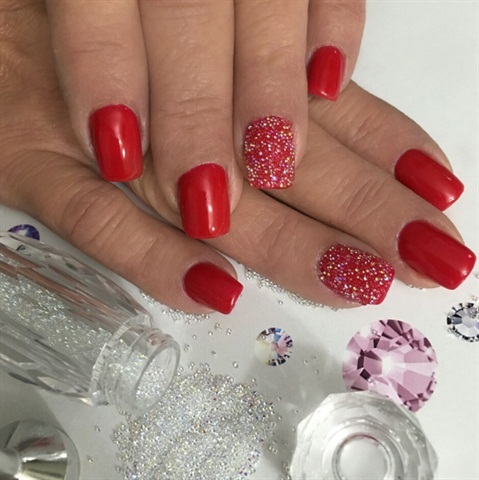 Some great information about Crystal Pixie Dust by Swarovski in a article from Nails Magazine! Read the complete article written by Sigourney Nunez, assistant editor at Nails Magazine! Thanks for the great article Sigourney!